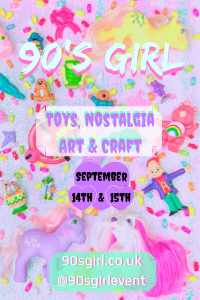 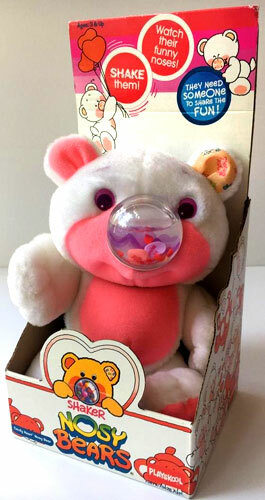 Images on this page thanks Knot-A-Toy, Miss Leonie, Veni Vidi Dolli and various eBay sellers, including airkam_7 & endoftherainbow! 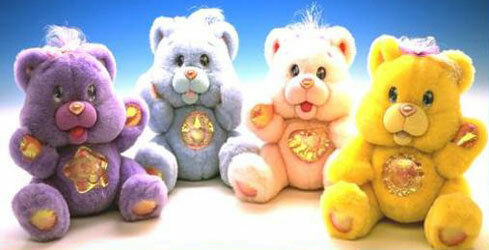 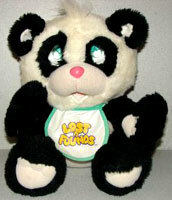 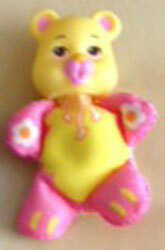 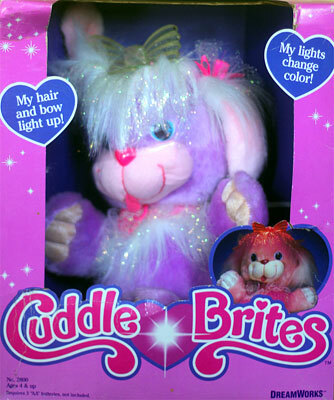 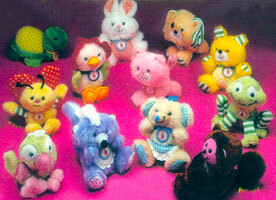 "Here come those colourful little creatures called Nosy Bears! 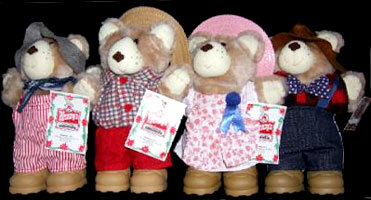 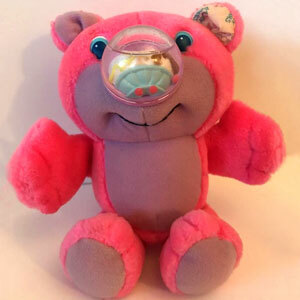 Each Nosy Bear has a special way of putting a smile on everyone's face! 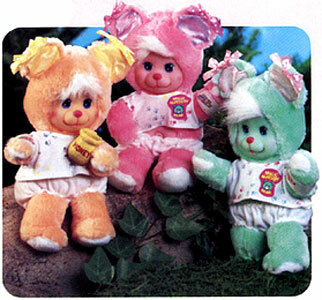 All they need is you to share in their fun! 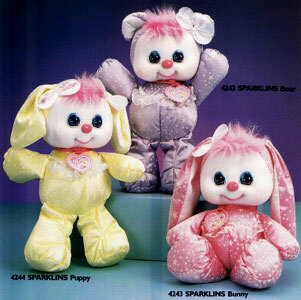 Just give them a shake and watch their noses go crazy with excitment! 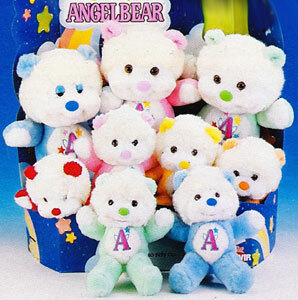 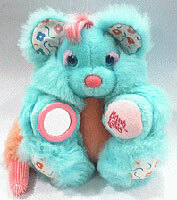 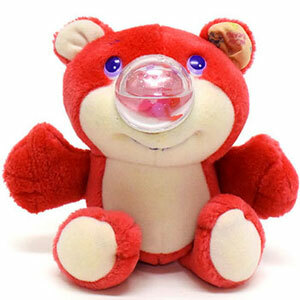 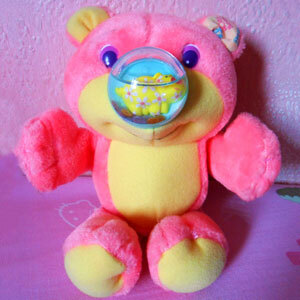 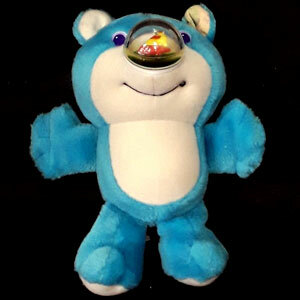 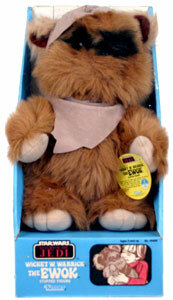 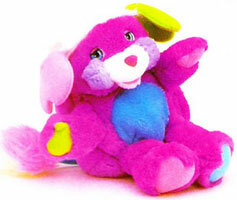 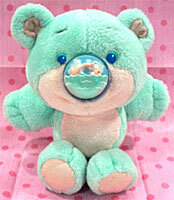 Nosy Bears are so adorable that once you've shaken one, you'll want to shake them all! 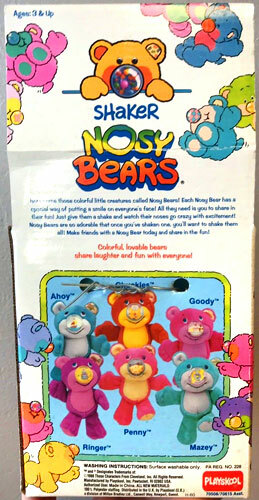 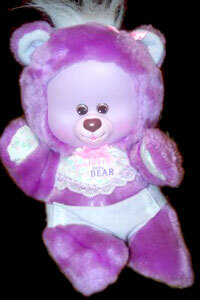 Make friends with Nosy Bears today and share in the fun!" 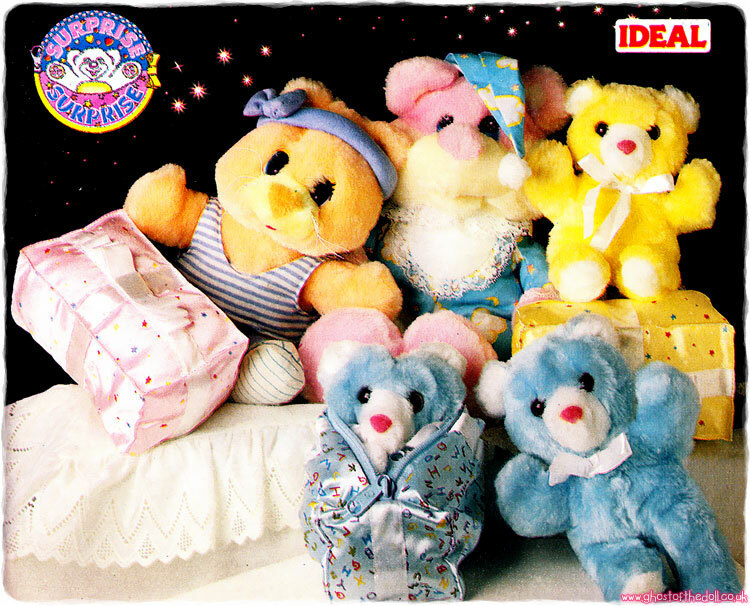 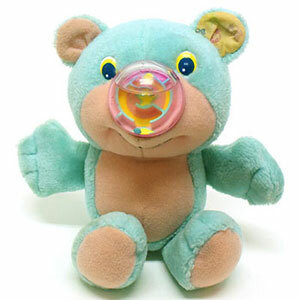 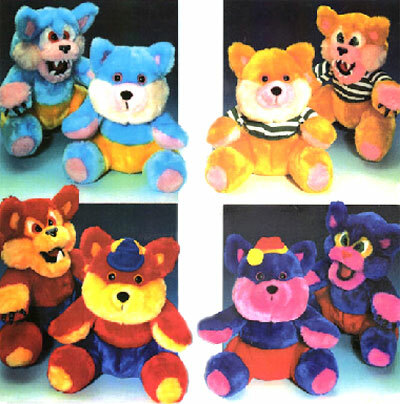 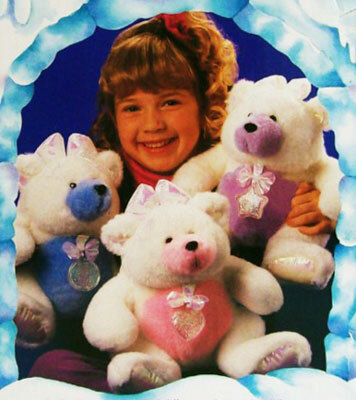 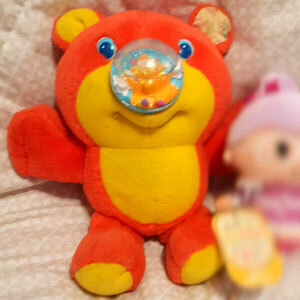 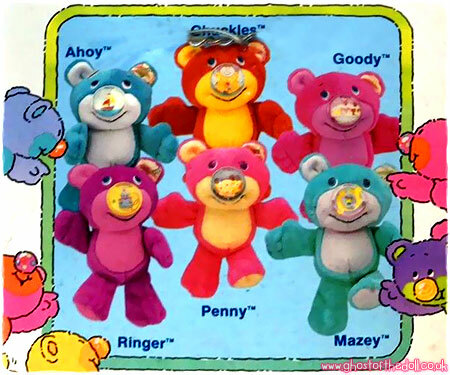 There were nine Shaker Nosy Bears produced in all, released in two groups; firstly in a group of six, then three more with heart themed noses. 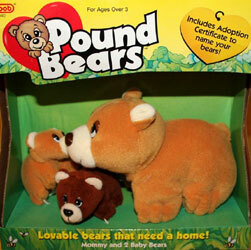 They were nine inches high, making them look more like baby bears. 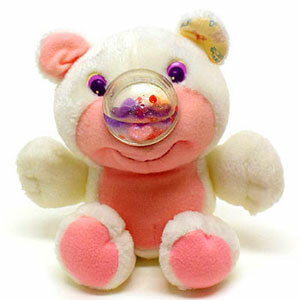 As their name suggests, the were meant to be shaken rather than squeezed to interact with their noses. 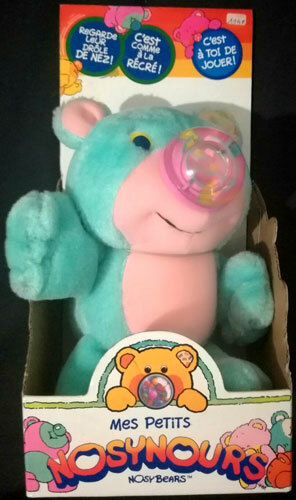 US Shaker packaging is marked "Playskool", whereas Nosynours packaging is marked "Hasbro". 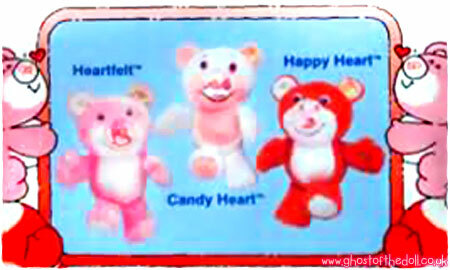 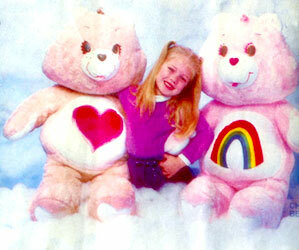 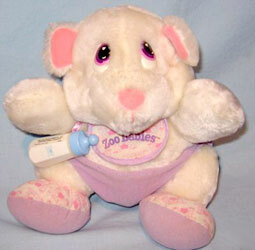 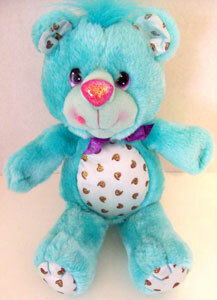 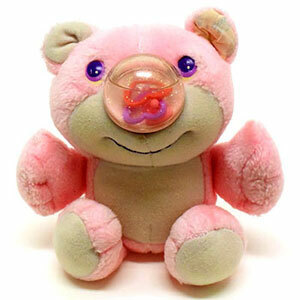 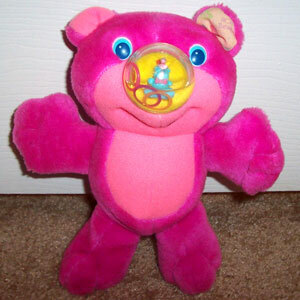 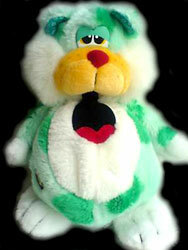 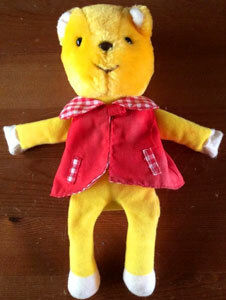 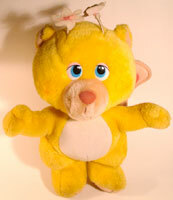 The second release of Shaker Bears had heart themed noses. 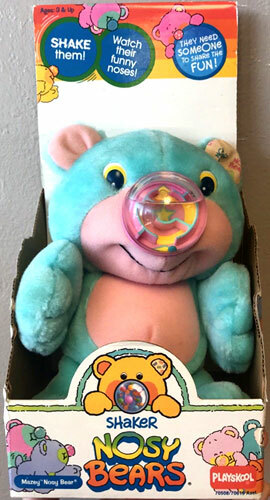 US Shaker packaging is marked "Playskool".